Record attendance of members for any meetings. 2. Click the red Settings icon and select the Attendance reports option. 3. 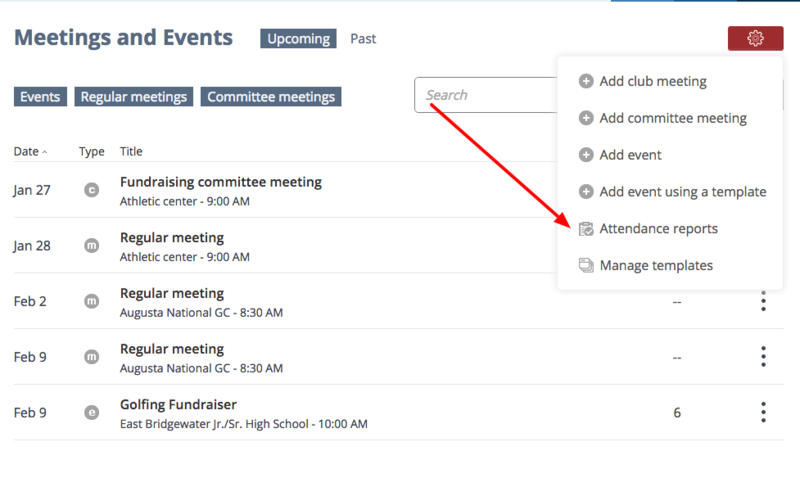 Select the Meetings tab. 4. 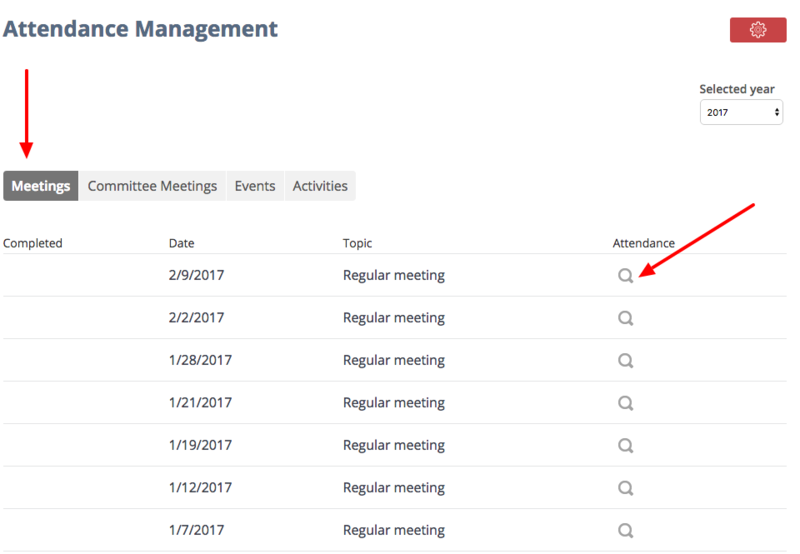 Locate any meeting, then click the magnifying glass icon to the right. 5. Mark the checkboxes of members who are present in the meeting. 6. Input hours on how long a member attended the meeting. Note: If members attended with same number of hours, click the Copy icon. 7. If a member is on leave, mark checkboxes under the on leave column to the right. 8. If the parental control has been enabled, you have the option to display parents, children or both in the attendance grid. It provides an easier way to take attendance for meetings. Simply uncheck the box for parents or children if you do not want them to show on the grid.